I was 13 years old when I first attended an international piano festival and academy, which took place at the Franz Liszt Academy in Budapest. My childhood piano teacher was one of the last students of Zoltán Kodály. I was therefore introduced to the Kodály and Bartók method at a very young age and grew up with the unique teaching of the Hungarian Piano School, the roots of which can be traced back to Franz Liszt himself. Its tradition is based on the distinctive approach to the instrument, the sound created and the importance of a rich bel canto tone. I spent hours searching for the best way to communicate through the piano, searching for the precise sound I wanted, painting pictures with sound colours, studying how to release tension from my body and using the weight of my arms and fingers in sound generation. My experience at this festival was not only a journey back to the place where this piano tradition was born but also a journey into a new world. I was able to immerse myself into European culture, visit a myriad of historical places, look at magnificent architecture, paintings, and sculptures, absorb the spirit of the city and mingle with musicians from all over the world who never ceased to inspire me. Since then, I have attended many wonderful music festivals and piano academies in Germany, France, Holland, Poland, Sweden, the USA and Asia. Although my college studies and performance career as an established concert pianist provided me with extraordinarily rich and varied opportunities and experiences, I will never forget the vivid impressions, the profound inspiration, the passion, dreams and endless imagination which were kindled in my childhood and youth because of the experience of attending international festivals. I founded the Tokyo International Piano Association (TIPA) with the dream of creating our own musical ”airport”. Our airport is open to everyone – all nationalities, levels and ages. It is an open platform where the child, music student, professional, passionate amateur or music lover can fly in to study, play, listen, and mingle with us to share in the joy of music-making. We held our first TIPA Festival in 2016 in Japan – beginning with the highlight of an opening gala concert featuring the world class concert pianist, Peter Jablonski at the Kioi Hall, Tokyo. In 2017, we had the privilege of collaborating in an electrifying piano festival in Serbia – ‘Keyboard Days Belgrade’ at the Old Palace in Belgrade. 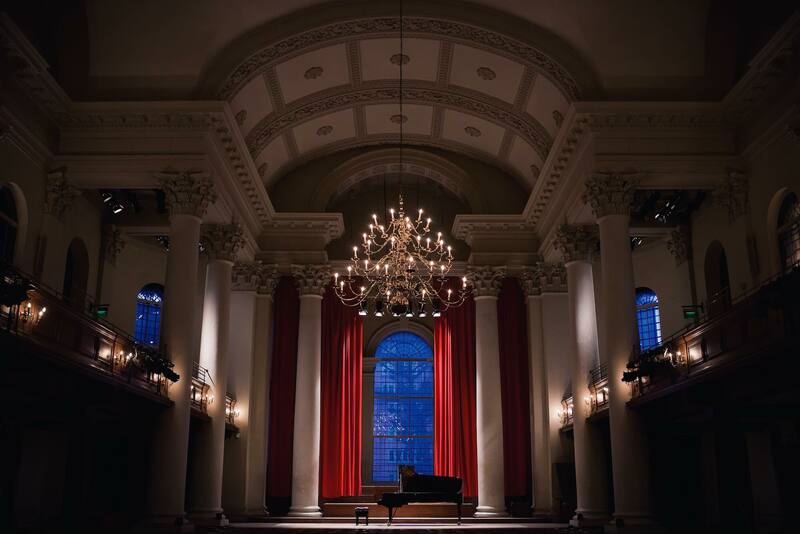 For the coming seasons, we will host a series of masterclasses by the distinguished teachers and international concert pianists, Professor Gordon Fergus-Thompson and Vanessa Latarche, both of the Royal College of Music in London. Music is a universal language. It is also a journey into art. I hope our visiting artists and participants will consider our festival a home in which to feel united on our shared journey of artistic experiences. I look forward to welcoming many of you to our upcoming festival!